Originally from Brazil, Leo recently moved to Berlin. He tells us more about life in Germany and the importance of mastering the local language. 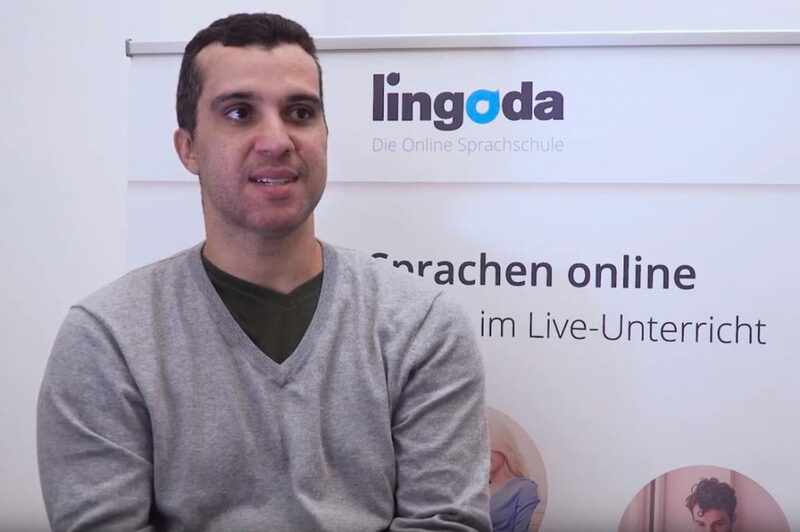 Watch the clip to find out how he was able to learn languages online, face-to-face with expert teachers, thanks to Lingoda. If you’re inspired by Leo’s story, you can start your own! With Lingoda, you can experience a free week (3 group classes) of German classes. Find out more today by visiting our website. Interested in learning French, Spanish, English, or Business English? We offer various packages as well as group or private classes with our native speaking teachers. With a comprehensive curriculum inline with the CEFR and interactive lessons, you’ll be on your way to fluency in no time. The Lingoda Marathon: What Our Students Say!